In 2014, Steven was appointed as Managing Director of ZTE (Malaysia) Corporation Sdn Bhd. He has been with ZTE Corporation for over 12 years, working within 6 areas of business across 4 continents starting out as a Solutions Manager in Africa. After that, he was Marketing Director for Asia covering countries such as Indonesia, Thailand, Australia and Russia. In 2011, Steven was appointed as Country Manager of Vietnam before his current position in Malaysia. 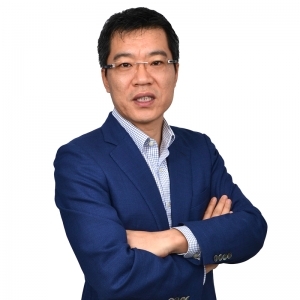 He graduated with a Degree in Telecommunications Engineering from Liaoning University and a Double Master’s Degree in Marketing and International Business from the Western Sydney University. With his international exposure and diversity, he transformed the organization through its people, and continues to do so.